The AS229-350 is an IC FET SPDT Switch in a low-cost plastic package. It features nonreflective matching at each output, and Broadband performance, with very low DC power consumption. 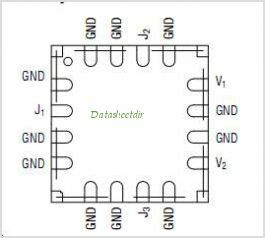 This Switch CAN be used in many Analog and digital Wireless Communication systems. By Skyworks Solutions, Inc. This is one package pinout of AS229-350,If you need more pinouts please download AS229-350's pdf datasheet. AS229-350 circuits will be updated soon..., now you can download the pdf datasheet to check the circuits!